An arrest warrant has been issued for author Salam Azad, whose 2003 novel contains supposedly insulting remarks about the religious character Mohammed. A court in Dhaka issued the order in response to a petition from a Muslim activist accusing author Salam Azad of hurting religious sentiment in his banned book Bhanga Math (Broken Temple). Azad told AFP the case was part of a smear campaign against him launched by a senior official from the ruling Awami League party: I became his target after I protested his grabbing of Hindu property. He has already filed a case against me . 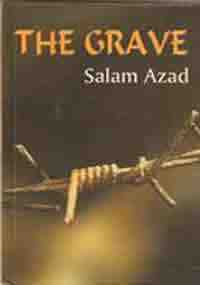 Azad said the book, published in the eastern Indian city of Kolkata, was banned for blasphemy by the Bangladeshi government in 2004. Bangladesh has extended the censorship of supposedly blasphemous blogs after a threat by extremist muslims to march to the capital to demand the prosecution of atheist blogger. These writings have defamed Islam and the Prophet Mohammed. The two sites, Somewhereinblog.net and Amarblog.com, have removed most of the posts. Khan said the regulator was scrutinising other sites to identify and erase blasphemous blogs in an attempt to appease the extremists. Tens of thousands of muslim activists prayed on the streets of the Bangladeshi capital today during a rally calling for the introduction of blaspemy laws and the restoration of a caretaker government. Members of the Islami Andolan Bangladesh are demanding the arrest of atheist bloggers who insulted Islam and to pass laws punishing those who insulted Islam in the parliament . They have announced plans to lay siege to the office of Prime Minister Sheikh Hasina on April 25 if their demands are not met. A Bangladesh court has indicted four bloggers for their supposedly inflammatory writings about Islam and the religious character Muhammad. This will be the first case to be tried under Bangladesh's recently amended Information and Communication Technology Act, enacted after widespread violent street protests demanding the blood of atheist bloggers. The new law features extreme punishments of up to 14 years in jail. The opening of the trial was set for 6th November. An atheist blogger opposed to religious extremism has been hacked to death in the Bangladesh capital, Dhaka, the latest attack on the country's bloggers after an American atheist blogger was killed in the same manner last month. Washiqur Rahman was repeatedly stabbed by three men in the Tejgaon industrial area of Dhaka. Police arrested two men who were caught at the scene of the crime and recovered three meat cleavers from the spot. The attack on Rahman came a month after Avijit Roy, a US-based Bangladeshi atheist blogger , was hacked to death at a busy roundabout in Dhaka. Roy's wife Rafida Ahmed Bonya, also a blogger, was seriously injured in the February 26 attack that triggered international outrage. A social media writer said Rahman was known to write against religious fundamentalism. He used to write using a penname Kutshit Hasher Chhana (Ugly Duckling). Police compared Rahman's murder to the 2013 killing of blogger Rajeeb Haider. Haider, known as Thaba Baba in the blogging community, was hacked to death on February 15, 2013 near his home at Pallabi in Dhaka. Imran Sarker, head of a Bangladeshi bloggers' association, told AFP Das was an atheist who wrote blogs for Mukto-Mona, a website formerly moderated by Avijit Roy, a Bangladeshi-born US citizen who was stabbed to death in the capital, Dhaka, in February. A publisher of secular books has been hacked to death in the Bangladeshi capital. In a separate attack in Dhaka, police said two other writers and a publisher were stabbed and shot at a publishing house. Occurences of Islamist violence have been growing in Bangladesh after at least four atheist bloggers were murdered in the country this year. The attacks have been linked by police to domestic Islamist extremists, while Islamic State has claimed responsibility for three other attacks. The body of Faisal Abedin Deepan, of the Jagriti Prokashoni publishing house, was found inside his office, said senior police officer Shibly Noman. Earlier in the day, publisher Ahmed Rahim Tutul was attacked in the office of the Shudhdhoswar publishing house and seriously wounded. Two writers were also wounded in that attack. All three of the victims were hospitalised, and Tutul was in critical condition, police said. Both Deepan and Tutal had published books by Bangladeshi-American writer and blogger Avijit Roy , who was hacked to death in February . He was one of the four secular bloggers killed in Bangladesh this year. A local Islamist group, Ansarullah Bangla Team, had claimed responsibility for the killings and recently threatened to kill more bloggers.